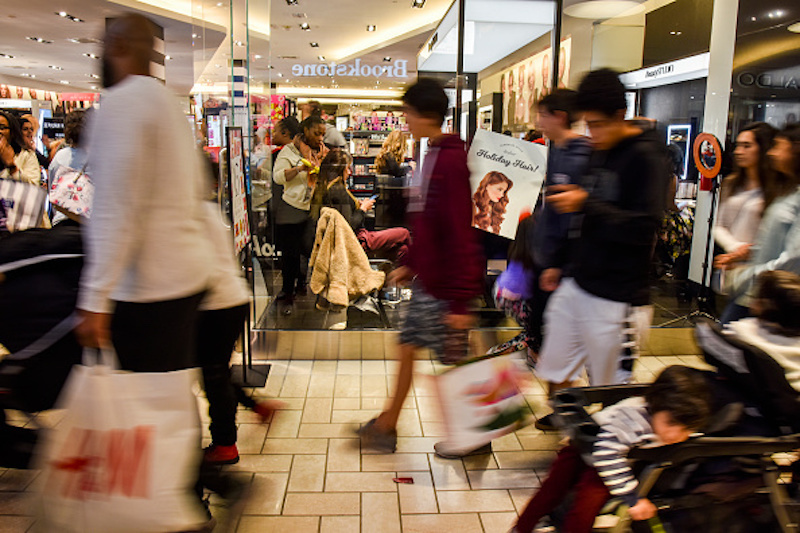 Black Friday marks the official start of the holiday shopping season. Although you may be excited for all the deals you can get on popular items, service workers have quite a different experience. There is a lot that happens behind the scenes others may not realize, like the fact that workers are often subjected to abuse by store customers on Black Friday—whether they’re in a boutique, mall, or mom-and-pop store. In graduate school, I worked retail at a store in N.Y.C. to help pay my bills. I was often scheduled for weekends, but I was not mentally or emotionally prepared for a shift on Black Friday. Some of my veteran co-workers had tried to warn me about the perils of Black Friday and of the holiday shopping season in general, but I’d hoped that their cautionary tales were just that. But on Black Friday, I was yelled at by customers, subjected to their rude behavior, and even witnessed fights break out among shoppers. I’ve never experienced anything else like it. When I arrived at the store 30 minutes before it even opened, people had already lined up around the block, chomping at the bit to get inside. Some shoppers were trying to elbow their way to the front of the line. Others peered into the display windows, banging on the glass as if that would help them get in faster. At 8 a.m. on the dot, we opened our doors; people flooded in and rushed the aisles. Honestly, it was shocking; I was watching a mob scene while shoppers ran to get their holiday booty and make it to the front of the checkout line. After long waits at the register, customers were annoyed and agitated. I tried to be pleasant while bagging their items, but people told me to “hurry up” multiple times. If the item was missing a price tag and I paused to sort it out, I was met with rude looks, eye rolls, hostile language, and verbal abuse. It seemed like the nicer I tried to be towards people buying gifts for their family and loved ones, the ruder they were to me. I even witnessed several heated arguments and physical altercations between customers. Some fights were about people cutting in line, while another incident was over the last sweater in a particular size. One woman blatantly ripped the sweater from someone else’s hands and tried to walk off with it. When the shopper confronted the woman who had snatched it, they raised their voices at each other. After making a scene, the fight ended with a manager intervening and returning the sweater to the original customer. Black Friday negatively affected me and my co-workers. It became hard to do our job—let alone do it well—when people nitpicked and undermined us for trying to help. Disrespectful shoppers and their condescending language dampened the vibe of the store and made workers feel less than. The day was as an incredible test of our nerves and patience. By the end of my nearly 10-hour shift, store displays had been virtually destroyed, items were thrown on the floor, and usually stocked shelves of clothes were empty. It was jarring to see the store in such disarray, and it was even harder to think that it had to be cleaned up and ready for more shoppers in the morning. While some customers had been pleasant, the vast majority of people were awful. My co-workers had been right to warn me. I’d always considered myself a person who tried to see the good in people. Working on Black Friday made me start rethinking that sentiment. While people want to get their items and go, it doesn’t cost anything to be polite and courteous to the people who are helping you—especially when most are earning minimum wage and aren’t even getting holiday pay. After a long day of exhausting labor and hostile interactions, a smile and a “how are you doing?” go a long way. So offer those kinds of warm gestures and short conversations when you’re shopping on Black Friday. You’ll help someone’s shift go by faster because you’ve actually demonstrated you care and recognize employees’ humanity. Please, be nice to service workers.